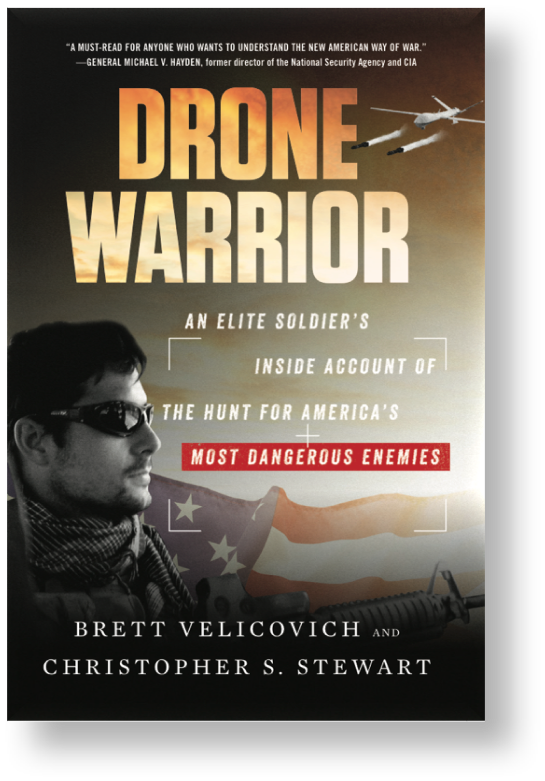 "Drone Warrior dramatically drives home that there is nothing remote about using remotely piloted vehicles....A must read for anyone who wants to understand the new American way of war." "Drone Warrior is as pulsating as it is sobering. Drone technology is here to stay, from targeting terrorists in Iraq and Afghanistan to protecting endangered animals in Kenya’s wildlife reserves. I couldn’t put this book down." "A uniquely detailed account of the nature of changing warfare in the twenty-first century." "War is deeply personal. Drone Warrior takes us into the lives of those whose fight we often see only from the sky." "Drone Warrior reads like a great episode of Homeland, a gripping firsthand account of what it’s like inside the United States’ most secretive military operations." Brett Velicovich is a U.S. Army Veteran. Serving as an intelligence specialist (MOS 35F) for the U.S. Army, Brett participated in both Operation Iraqi Freedom (OIF) and Operation Enduring Freedom(OEF). Following his time served in the military, he received an MBA from Duke University and focused his post-Army career on the commercial drone technology sector. Brett's goal is to share the benefits of drone technology with the world and dedicates his time in support of humanitarian projects worldwide.